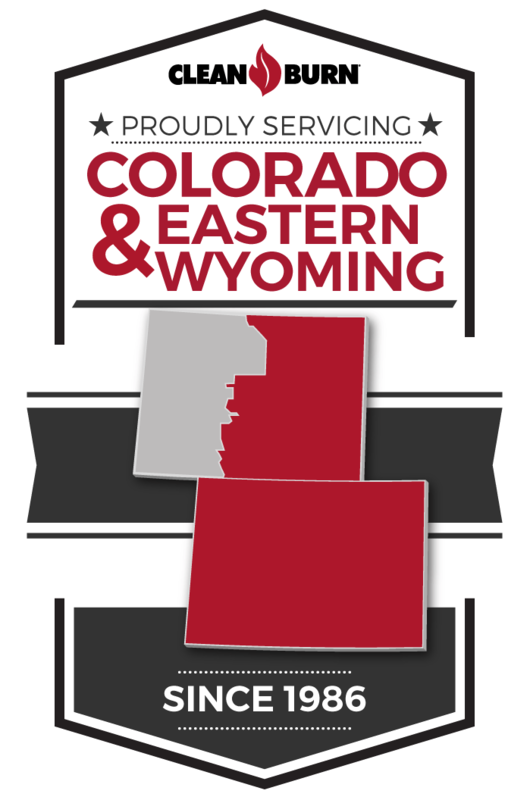 Interstate Energy, Inc. is the leading provider of Clean Burn waste oil burners in Colorado and the eastern Wyoming area. Our heating systems allow businesses who produce excess oil in their daily operation to save money while mitigating risk and promoting environmental responsibility. With a wide selection of waste oil burners, furnaces, boilers, and more, we can provide your business with a heating system that increases your competitive edge. 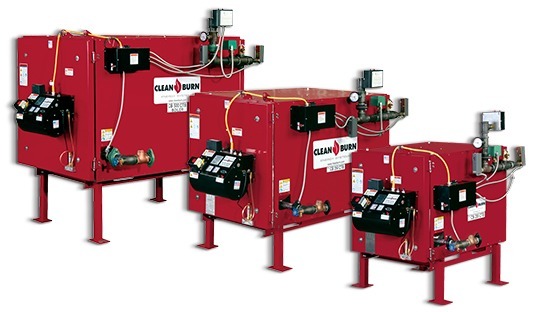 Clean Burn waste oil burners are the only burners that use synthetic oil in addition to waste oil, ATF, and hydraulic oil. Stainless steel is strategically placed to reinforce durability of Clean Burn waste oil burners for renowned longevity. These waste oil burners can be used as unit heaters or central furnaces with multiple discharge louvers. With Clean Burn, you get the most flexible, longest-lasting, and most durable waste oil burner available. 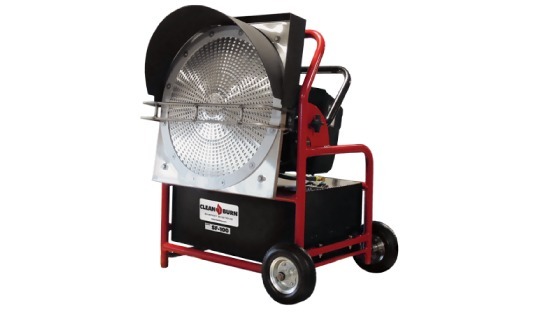 Interstate Energy is the only authorized distributor of Clean Burn waste oil burners, which means that you have access to a local expert in these exclusive products. We are more than just well-versed in the products themselves – we are experienced providers of the Clean Burn advantage, which includes not only superior-quality products but also unmatched customer service and maintenance. We offer waste oil furnaces in a number of different models and sizes, ranging from 140,000 to 500,000 BTU/hour. With such an extensive portfolio of size and power, we can help you determine which waste oil furnace will be the ideal solution for heating in your business. All of our furnaces are easy to install with both ceiling suspension or platform options. 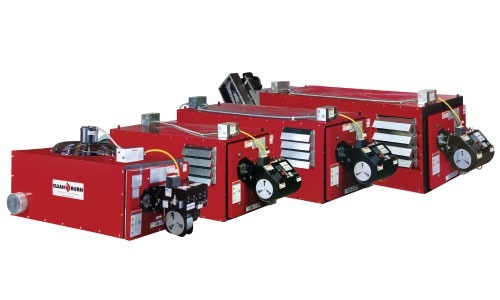 This makes the Clean Burn waste oil furnace line fit seamlessly into your working environment. You not only save money with our waste oil burners but also time and hassle. Our waste oil boiler options are the best way to generate economical and plentiful hot water for all of your needs. Whether you operate a car or truck wash, need radiant floor heat, space heat, snow or ice melting, industrial processing, or any other operation that requires an abundance of hot water, you want a waste oil boiler. With a variety of sizes and power available, ranging from 200,000 BTU to 500,000 BTU/input, we can offer you a top-of-the-line water heating system that is cost-effective and high-functioning. In addition to the above waste oil burner options, Interstate Energy also offers waste oil recycling systems, radiant heaters, pressure washers and air compressors to streamline your business needs. Everything you need to operate an efficient, cost-effective business model can be found here.